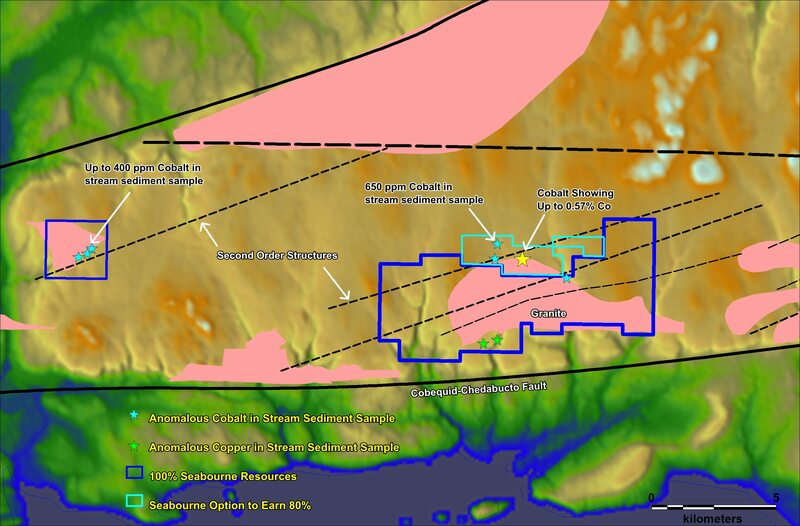 Parrsboro Group and Five Islands Property – NorthernShield Resources INC.
Seabourne’s Five Islands, Parrsboro and Shot Rock properties all fall along the east-west trending, Cobequid-Chedabucto Fault Zone. The CCFZ is approximately 25 km wide and consists of a system of major, crustal scale, transform faults that essentially divide Nova Scotia in half and serve as a terrane boundary for the Avalon Terrane to the north and the Meguma Terrane to the south. The CCFZ is the most dominant structural and geological feature in the province and has a prolonged history. Evidence suggests it was active as far back as the early Paleozoic and also strongly deforms rocks of Triassic and Cretaceous age. 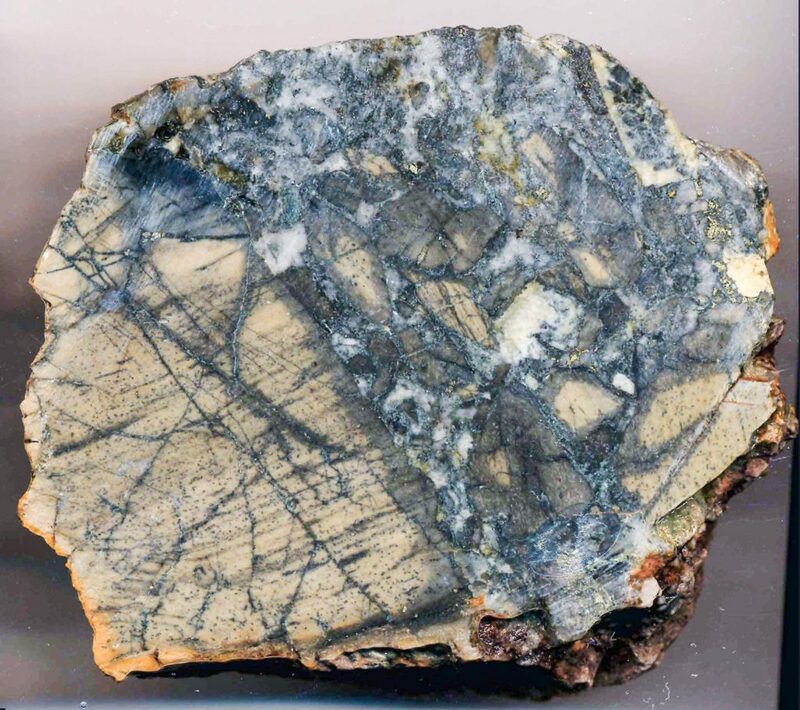 The CCFZ is host to numerous occurrences and small deposits of Fe-oxide, Cu, Co, Au, Ba and Pb-Zn but has only recently been recognized for its IOCG and related deposit type potential. What little exploration that has occurred regarding IOCG has largely focused on the southern boundary of the CCFZ. Seabourne believes that second or third order structures within the CCFZ may be more important for controlling mineralization.